The paintings by Amy Judd capture women and birds, feathers and bodies. All in all they host a very special sensual atmosphere. 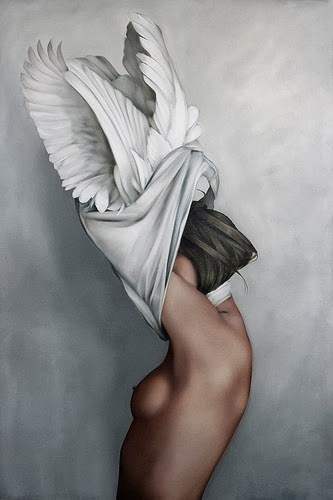 Is there a distance between the woman and the bird or are they one and the same? 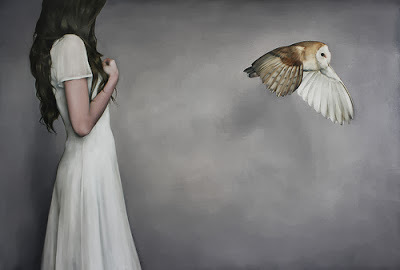 We are (almost) lost for words by the amazing paintings by Amy Judd. Amy was born i 1980 and is currently living and working in London (UK). Go to her website for more paintings and further information.